Beefeaters, Jewel House Wardens and other employees employed by Historic Royal Palaces (HRP) at sites such as the Tower of London, Hampton Court Palace and Kensington Palace, will be balloted on strike action over the closure of their pension from Friday 30 November to Monday 17 December. Members final salary pensions will be replaced by an inferior pension despite HRP failing to provide any evidence other than they want to use members pension contributions for other projects. “Pensions really matter to our members and in the day-to-day contacts we have with them across HRP, the importance to them of continuing to be able to build the pension they were promised when they were transferred to HRP from the civil service is emphasised to us over and over again. They see their defined benefit pension entitlement as a critical element of the employment package, and quite rightly put a great value on it. “HRP’s decision to close the scheme came as a great surprise. Difficulties or the ability to afford the pension had never been muted before and members just see this attack on their standard of living for the rest of their lives. HRP are just jumping on the band wagon as they see other companies ending good defined benefit schemes, preferring instead to let the tax payer pick up the shortfall in the years to come. 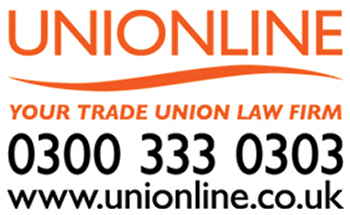 “GMB members have made it very clear that they want more negotiations and are prepared to talk. Strike action is the last thing they want to do, but HRP have left them with nowhere else to go. “Currently, Government responsibility rests with the Secretary of State for Culture, Media & Sport but all the palaces in HRP care are owned by The Queen 'in Right of Crown'. This means that the Queen holds the palaces in Trust for the next monarch and by law cannot sell, lease or otherwise dispose of any interest in the palaces. “The notion that buildings are more important than the dignity of workers and that the people caring for and responsible for these palaces are not worthy of being cared for in their retirement is quite frankly disgusting. Historic Royal Palaces (HRP) was established in 1998 as a Royal Charter Body with charitable status. It is responsible for the care, conservation and presentation to the public of the unoccupied royal palaces: HM Tower of London, Hampton Court Palace, Kensington Palace State Apartments, the Banqueting House at Whitehall and Kew Palace with the Royal Kitchens, Queen Charlotte’s Cottage and the Great Pagoda. These palaces are owned by HM The Queen in right of Crown. HRP is contracted by the Secretary of State for Digital, Culture, Media and Sport to manage the five London palaces on his behalf. This contract has been re-authorised until 31 March 2028. HRP is also contracted by the Secretary of State for Northern Ireland to manage Hillsborough Castle in Northern Ireland. The Castle is owned by the Government and is the official residence of HM The Queen.